Pod2g and planetbeing have found two new vulnerabilities but are still missing the initial code execution for a public jailbreak release. 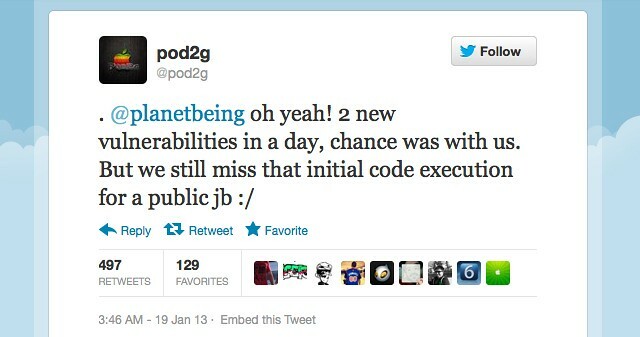 Yesterday we reported that pod2g and planetbeing had teamed up to do some work on the iOS 6 jailbreak. Early this morning pod2g revealed that they have found two new vulnerabilities in just a day. It's great that progress is being made. Hopefully, the two find that last piece of the puzzle and are able to release their jailbreak to rest of us.